@csgt I honestly perfer Ben with a harem to be honest, I know it's inappropriate for a show aimed to younger audiences, but he deserves it. 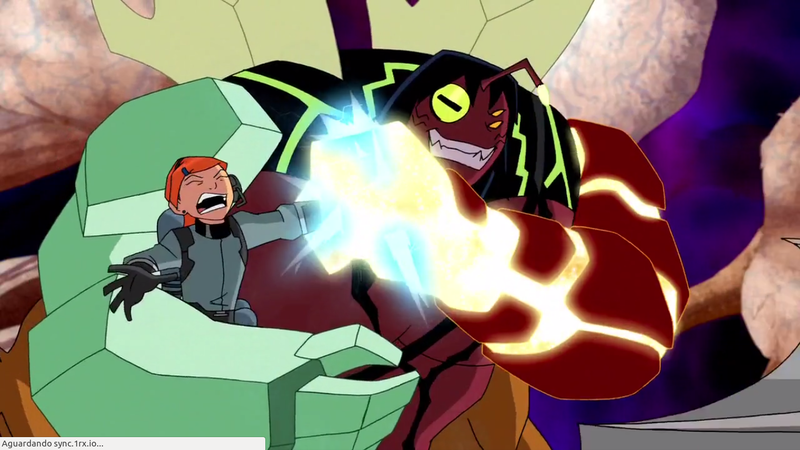 With all the constant crap he goes through with villains like Vilgax and others that want to kill him. He needs more love and support. A polygamous relationship would be interesting to see in Ben 10 or any cartoon in the US, it can really help explore the girls lives and develop them better (as well as their love for Ben), sadly it was seen as a joke in Omniverse and I hated it. I'm just saying if the Bwen fans got there wish we would have a reason for Kevin to full on enemies for life with Ben. A reason that makes sense in character for Kevin to throw away his 2nd chance and go villain. Not only will Ben have " stolen his girl" the entire gwen x kevin relationship could have been the pair using Kevin. At first because they needed his help in Alien Force, and then to cover up the fact that Ben and Gwen were " dating ". I mean they are out together till all hours of the night on " missions ". Whats an extra night or two every so often without Kevin ? Ben dates off and on through out the series Gwen and Kevin were mostly steady. Who would even ask the question? Kevin's not stupid he'd figure it out sooner or later. When he did he'd know exactly how powerful both Gwen and Ben are, and have to mutate himself again to try and match up. God I feel evil just writing that. The problem is that Gwen was changed to cousin at the last minute. The romantic chemistry that Ben and Gwen could/would had were leftovers from the pre-production of the original series. Gwen was originally intended to be a classmate of Ben. I know I'm just playing devils advocate. I always took Ben and Gwen's relationship like this. Ben was an only child, and kind of lonely, Gwen was the sister he never had. After the summer they spent with Max ( the original series ) I could see the secrets they learned making them pretty close. @goodvibes1999 I don't think Gwevin will happen in the Reboot, because the people responsible for the Reboot - Man of Action - are the same writers from the Original Series. And in the Original Series, Kevin appears only in 5 out of 52 episodes: "Kevin 11", "Framed", "Grudge Match", "Back With a Vengeance" and "Ken 10". In "Framed", Kevin tries to burn Gwen alive, and in "Back With A Vengeance", Kevin drops Gwen to die in the Null-Void, after hurting her. "Ken 10" is set in the future, and in this episode Kevin was still a villain and had a son named Devlin (and obviously, Gwen wasn't the mother), a proof that the Original Series' writers never planned a redemption for him, much less a relationship between him and Gwen. But since Kevin was UAF's Creator's Pet, so they retconned/ignored his past, redeemed him, turned him into a main character, and wrote a relationship between him and Gwen. I might be wrong, but I really really doubt the Original Series' crew would ever do something like this. I'm fine with Ben/Kai and Ben/Charmcaster. I just dislike Ben/Julie because Julie was a satellite love interest and it was clear Ben/Julie was always in second place to Kevin/Gwen for the writers. I think even if Gwen were to decide to break up with Kevin to pursue a relationship with Ben (no cheating), it would be enough reason for a mentally unstable Kevin to feel betrayed and try to kill both of them (again). @csgt Kevin being on TeamTennyson was mandated by cartoon network. The fact that it turned out so well is because the writers on Dwayne Mcduffie and co were good at there jobs and wrote a good show. My inner crazy man wants me to write a story were Kevin still ends up evil. The fall of Kevin Levin if you get my drift. I don't know if I'll ever do it, but its an idea in my head. But my fanfiction musing aside I don't think Gwevin failed it's go to many fans for that. Bwen doesnt die because because some people have different ideas about dating relatives. With all the respect, Mcduffie and co messed up real bad with their retcons, and Omniverse had the thankless job of fixing it. Writer #1 "So Kevin's dad Devin Levin and Max Tennyson were partners? So why in the Original Series Max doesn't recognize Kevin nor do anything to look out for him - breaking the promise he had made to his partner?" Writer #2 "Well... Hm... Crap... Let's make Devin Levin a false memory implanted by Servantis on Max's head." The justification "Kevin was insane, his crimes were not his fault" was just too little, too late. Plothole #2 Is it really a justification? If so, why didn't the team give a second chance to Aggregor - after all, he's an Osmosian just like Kevin, his evil ways are not his fault. We all know there was a huge viewership decline in the first two seasons of Alien Force, The writers subtle acknowledged the problem in-universe, but ignored it. Ben Tennyson: It's a sequel to the original show, but they kinda messed it up. It's like five years later and the bad guy, Kenko, has teamed up with the hero, Ishiyama. It's not very realistic, is all I'm saying. Ben Tennyson: Anyway, there's only five more of these before they cycle back to the original show. You'll see, it's way better. Later, UA lost even more viewers than AF, which led CN to take a different approach with Omniverse - and they got rid of Kevin as a part of the main cast. And now, they did cycle back to the Original Show with the Reboot, with Ben and Gwen back as the main heroes once again. So, even though many many fans like Gwevin and Hero!Kevin, I think we can say these concepts weren't very successful. About Bwen not dying, well, it's not that people have different ideas about dating relatives - I know many people wouldn't support a relationship between cousin in real life, even though they ship it in fiction. And, do you see, for example, fans shipping Superman and his cousin Supergirl together? No. Bwen is actually one of the few popular pairings between relatives, and Gwevin didn't sink it. I would love to read your "The Fall of Kevin Levin" fic! Do you have a profile on Fanfiction net? Not really Max might not have recognoised Kevin or ever met him. He could have looked into things in between episodes and dug up information we will never know. Ben and Gwen Trusting Kevin was a matter of taking a risk because they had no other options. That worked out so they trusted him. This isn't novel writing where its all planned out ahead of time by one author, the writing is done in installments be many different writers like a comic book or manga. At some point someone needs to say " whats next" and what they write might not 100% work with what the last person was thinking. The best way to describe Why people ship Bwen. Ben and gwen had very odd subtext for cousins when the first series aired back then. People shipped the cousins because of that said subtext back then. Also as many people pointed out during pre production they weren't related and the creators changed that at the last minute because cartoon network thought it was weird to have a unrelated girl travel with an old grandpa and a young boy for so long. It also really dosen't help that the original series creators forgot to remove all the subtext completely and only make slight tweaks then call it "cousin love". I remember watching the episode benwolf the subtext really showed there and kai felt more like a romantic false lead. If the writers wanted to fix this mess, man of action should have really revised the script and rewrote the script from scratch even if the show was gonna get delayed a bit ether that or the sequal series acknowledges that something might have been there between ben and gwen but have them move on to someone else because its wrong to date family. And put a lot of effort and consistent development towards the non ben and gwen ship. Of course, for the sequel shows, the producers hated Bwen. But they had terribly bad ideas to sink it. For starters, they put zero effort on Ben's love interest. Julie was a satellite character whose only purpose was to show up every five or six episodes so the writers could say "Look! We gave Ben a girlfriend!". The couple they actually cared about was Gwevin, and either due to their lack of knowledge of the OS, or due to their belief that 'viewers are morons and will forget everything' they failed to see that Gwevin in real life would be WAY creepier than Bwen - I've heard of cousins dating, but I've never heard of a girl dating a mentally unstable guy who attempted to murder her multiple times - outside of a very abusive relationship context. I can't believe anyone on that show wanted it to be ok for Ben to have romantic feelings for his cousin.